The high-speed hedgehog returns to his roots with a new look. Remember the good ol’ days where Sonic was a heavy hitter mascot or when people weren’t making fun of his games? Yeah, it’s been sometime since any good sonic games hit consoles. Having never played Sonic Colors for the Wii, I can’t say if it did justice to the blue blur. What I can say is that redemption for Sonic comes in a small, bite-sized package. 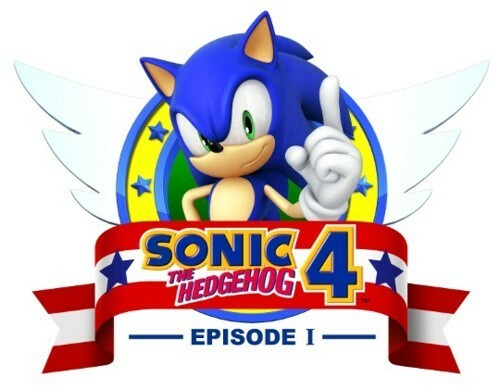 Sonic 4 is spread out between episodic games; Episode 1 came out in 2010 and Episode 2 was just released a few days ago. With full confidence, I can say this is one of the best sonic games to date. As many people should know, Sonic isn’t known for its complex plot or surprising turn of events. Sonic 4 is the sequel set after the events of Sonic & Knuckles with Sonic leaving to explore new areas. 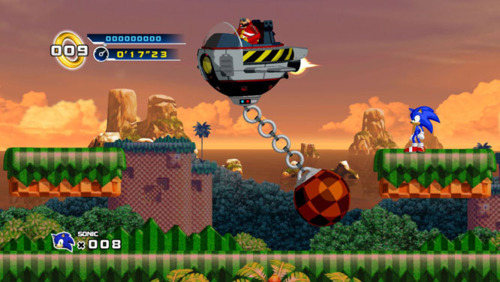 Of course, Dr. Eggman survived the explosion of his Death Egg and once again tries to destroy Sonic and rule the world with the chaos emeralds. All players truly need to know is that they must clear zones and stop Eggman’s plans. Gorgeous isn’t it? The 3D graphics on a 2D plane truly brings out the best in the redesigned look. 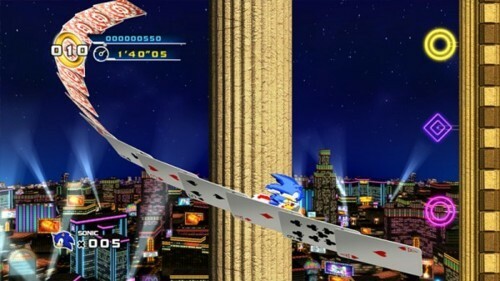 Sonic sports his new look while traversing through areas past visited. If you played Sonic from the Sega Genesis days, you probably will feel nostalgic as you revisit old memories. Even the bosses and enemies will ring a bell as you see them. While everything feels like old school, there are a couple of new additions here. The homing dash that was first introduced in Sonic Adventure is used in this title. Using the homing dash at the right time could score you big points and help navigate levels faster than ever. Players also have the choice to go through zones back-to-back or to return to the world map for a quick breather. Even though the main goal is to stop Eggman, like with most Sonic games, the secondary objective is to collect all the chaos emeralds. Collecting emeralds means the player must gather 50 rings before the end of the area and jump through the giant ring. 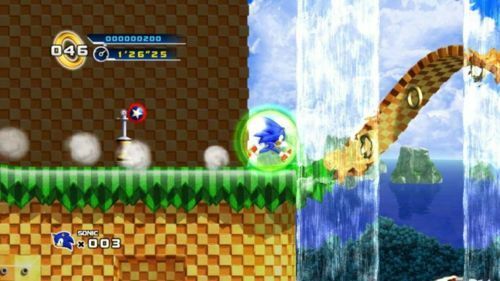 This is how you get to the special zone where you must navigate sonic all the way to the emerald via the left thumbstick. Be careful though because if you hit the exclamation points, Sonic will be kicked from the zone and players will have to reach it all over again. For players that do collect all of them, they will receive two rewards. The first is the ability to change into Super Sonic once 50 rings are collected. Lastly, a familiar shadowy figure will be shown, hinting at what’s to come in episode 2. Game is way too short and over before you know it. While many games have ruined Sonic’s good name, Sonic 4 redeems it in every way possible. Granted, this game alone isn’t enough to make up for multiple bad titles but if Sega keep this up, Sonic may return to his former glory. Since it’s been out for about two years now, Sonic 4 is 800 Microsoft Points, $9.99 for Steam and PSN. I highly recommend picking this up for all sonic fans and newcomers alike. Sonic is back! Would you pick this up 2 years after its release and Episode 2 recently released?